Also known as ‘Your Beauty Translator’, THE INKEY LIST’s aim is simple: break through beauty jargon to deliver a straightforward take on skin care’s most-wanted ingredients (at astoundingly reasonable, ‘give-it-a-go’ prices). An adored hero ingredient, vitamin C acts as a powerful antioxidant, reducing the impact of daily skin stressors such as pollution, while also actively brightening and evening out skin. Also shown to boost collagen production, Vitamin C Serum boosts your skin’s plumpness and elasticity. Sublime in its simplicity, this serum stars the stuff as 30% stable L-ascorbic acid, for minimal irritation and optimal benefits. A slight tingling sensation can be expected, particularly if you are new to the product. Product may cause irritation, if irritation persists discontinue use. Ensure product is kept out of sunlight in a cool dry environment. Always ensure lid is sealed. I notice reduction in my PIH/PIE within a few 2 weeks of use and skin tone is more balanced. however this could lead to some piling when apply so try on error really matters which suits you the best. I overcome by using this as my first serum and avoid the piling issue. the serum is super potent does do expect some tingling sensation when apply for sensitive skin like mine. love, will repurchase. I LOVE this! I have been using this daily (am) for more than 6 weeks now and my skin has improved. My hyper-pigmentation and acne marks have lighten and I can't wait to see how my skin will turn out in the coming months. Will definitely repurchase this! Only been using this product for about two weeks but already feel like it it has improved my skin. Unlike other reviews, I feel like once you’ve cleansed your skin it sits very nicely on top without flaking or peeling. Will definitely buy again especially for the price! My skin looks refreshed, glowing and SO even after use. I get compliments! However, it stings quite bad and the texture is thick waxy and it peels. Really want to like this product (and brand) but the texture puts me right off. It's thick and paste-like which makes it hard to apply as you almost have to drag it across your face. It seems to sit on the skin and I had white flaky build up which only worsened when I touched my face. Could not imagine putting makeup over it - big no no! Can't speak to it's efficacy - definitely more silicone than I'm comfortable with, given I'm an acne sufferer. Will probably use once a fortnight at night until it runs out so as not to waste it. Love this product to death! Amazing. I'm used to most products stinging a bit, but this was pretty sore even on the slightest Eczema-y dry bit. Also, the other reviewers weren't kidding - the texture is really thick, considerably more than even my prescription moisturiser. Have given to a friend to try instead as I'm sure it'll work for some people! I've tried numerous vitamin c products with varying results. I will say that I have seen a brightening effect with this product and can see the difference in my skin. The drawback is the silicones in the formula which make it difficult to use much of anything else in my morning skincare routine. I find with this product it is best to keep my routine simple (cleanse, vitamin c, moisturiser, spf) otherwise anything else will pill up on top of it. I will most likely order again, but not for use on my face. The price makes it great to use on hands or chest where the texture and product layering challenges aren't as much of a concern. This is amazing. Leaves your skin so soft and glowy. What a bargain! I wanted to like this so much and I’m sure for some people it will be really effective as it has a high percentage of vitamin C. It’s in a silicone base though and I found the texture to be really heavy. It didn’t sit well under my makeup, I became shiny after a few hours and I had a breakout of spots after using. I hadn’t changed anything else in my routine other than trying the Inkey list hyaluronic serum, which is lovely. I will stick to the Garden of Wisdom vitamin C serum which is lovely and light and more suitable for daytime use. Cant really say much about the effect because I didn't continue using it after some days because of the texture, it felt waxy, and rolls right off again. Not for me. I mix a pea-sized amount with some Hyaluronic Acid serum and it spreads nicely without stinging. Liked it more than The Ordinary. Skin looks clearer and feels smoother. I can't speak of the efficacy of the product because I just can't get over the texture. You literally drag it over your skin and it rolls up whenever you put something else on top of it. Really disappointed to find a product which might be amazing but can't be used because it is so thick and waxy. 1 star because why make a product that people can't use? With the addition of silicone in this, if you have visible or deep pores I wouldn't recommend it. As a post-acne sufferer, it clogged up my pores BIG TIME. That being said, if pores are something you have no problem with, this does do a good job with mild hyperpigmentation. The texture is a bit unexpected, it's a bit waxy and artificially smooth, leaves a prickly sensation after applying. I've been using it for about two weeks and I haven't noticed any changes, better or worse (at least it didn't give me breakouts). 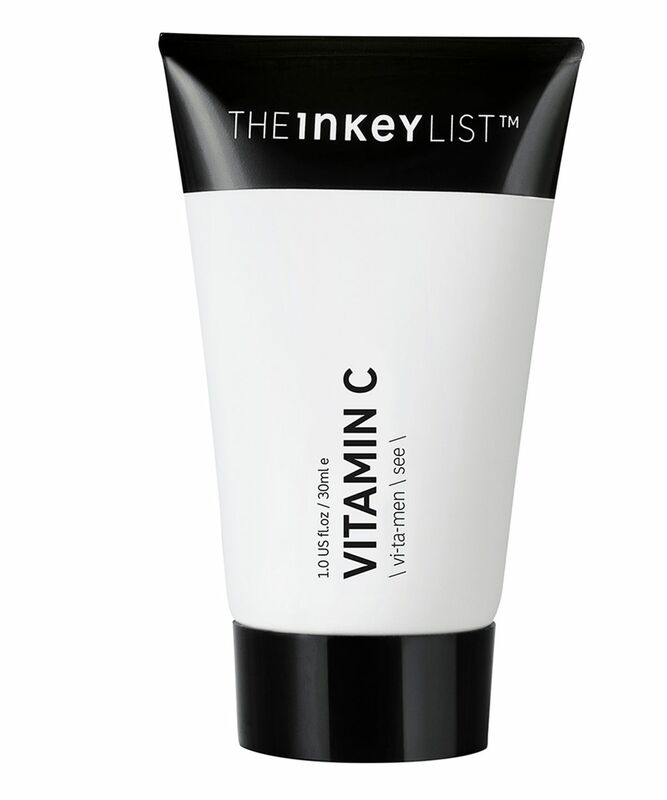 Good start if you want a vitamin C serum in your routine, but overall, nothing special. I love the tingle, and it does even the skin tone, but it's full of silicone. I will continue using it but not sure I'd repurchase. It's good enough for the price. I wanted to love this as it has a great concentration of Vitamin C but it’s not for me. I needed a product for day time use but this is only suitable for night time use as the texture isn’t good for under makeup. It also leaves a white cast on my skin. I’m fair skinned so I can only imagine it’s worse for those with darker skin tones. I really wanted to love this especially at the price point - but I’ve never disliked a product on first use more. The texture is just awful, no slip, silliconey, just feels horrible. I’ve tried mixing it with HA as they suggest but still not for me. Let me start by saying my skin is dry + dehydrated, very sensitive and I'm 29. I'm always hesitant trying new products but I thought the price was worth it. I find that vitamin C can be tricky for sensitive skin types but this one did not give me any problems whatsoever, it did not break me out and other vitamin C serums did, even high end. It is pretty dimethicony though so I don't use it pm and I don't use it every morning. But overall it is a good product. I wanted to love this, but I was disappointed. The texture is awful. Way too heavy and difficult to spread and so silicone-heavy that I had to bin it. It made anything on top of it pill up and felt too occlusive. My skin was feeling a bit irritated and I felt like there had not been a change for ages, however, this product has really lifted my skins appearance.